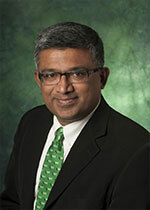 Welcome to the Department of Mechanical Engineering and Energy Engineering (MEE) at the University of North Texas (UNT)! The department is committed to educating globally competitive engineers and tomorrow’s leaders by teaching innovative courses and conducting leading edge research within the broad area of mechanical and energy-related sciences. Mechanical engineers have been at the forefront of every major innovation and change in the world during the recent times. By being leaders in solving some of the most challenging problems in the areas of aerospace to space exploration to alternate energy to nano-engineering to innovative materials for biomedical and energy applications, mechanical engineers have made a global impact. Today, we are facing an ever-changing world that calls for urgent solutions to balance both human needs and the nature around us, especially pertaining to energy-related issues. The need for engineers with both mechanical and energy engineering skills has never been greater. In the Department of Mechanical and Energy Engineering at the University of North Texas, we are educating today's engineers to be tomorrow's leaders. We have faculty and students in MEE conducting research in areas related to energy and the environment, sustainable products and systems, biotechnology, nanotechnology, materials for energy storage, advanced manufacturing and renewable energy systems. We are 10 years young and growing rapidly. The Mechanical and Energy Engineering program at UNT has seen record growth in recent years, and with an undergraduate enrollment of over 780 students and a graduate enrollment of 65 M.S. and 21 Ph.D. students, it is the most sought after major within the college of engineering. Through innovative curricula and research activities, our nationally and internationally acclaimed professors engage students in a unique, interactive learning environment that facilitates academic excellence and prepares our students for their future careers while earning a B.S., M.S., or a Ph.D. degree in MEE at UNT. Companies seeking problem-solving leaders are looking at our department as a source of new talent because of our reputation for high quality student and program performance. Our alumni can be found in key positions in some of the leading companies in Texas and around the world. I invite you to explore our website and see what we have to offer. Whether you are a prospective student or parent, an alumna, or a stakeholder, I encourage you to visit UNT, meet our dedicated students, faculty, and staff, and tour our state-of-the art facilities. If you need additional information about our program, please contact me.